Listening to makeup artist Tom Pecheux break down his beauty look for Chado Ralph Rucci during Spring 2010 Fashion Week. I've been a beauty blogger for close to 8 years. 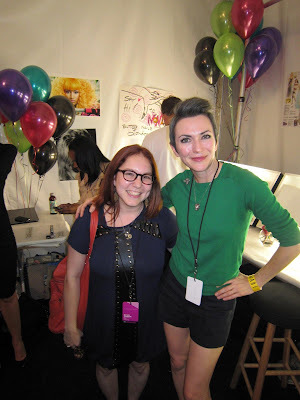 In that time, I've had the opportunity to meet quite a few of my beauty idols -- the hairstylists, makeup artists and manicurists whose work has graced the pages of the top magazines and advertisements, the people who work on all the biggest fashion shows, the people who create the products I love to use over and over again. 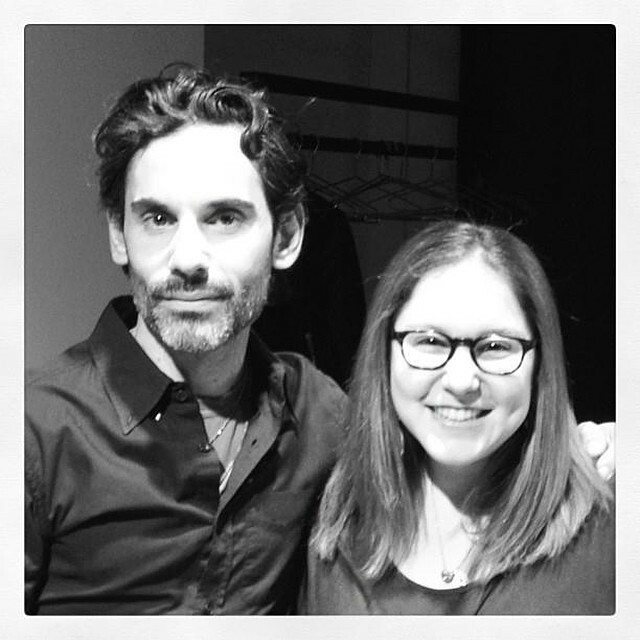 I recognize just how lucky I've been to meet so many of the people whose work I've respected for so many years -- like makeup artist Tom Pecheux, above, who I watched work his magic for many seasons at New York Fashion Week. I hope you'll take a trip down memory lane with me as I revisit some of the experiences I've had meeting these fabulous and talented people. 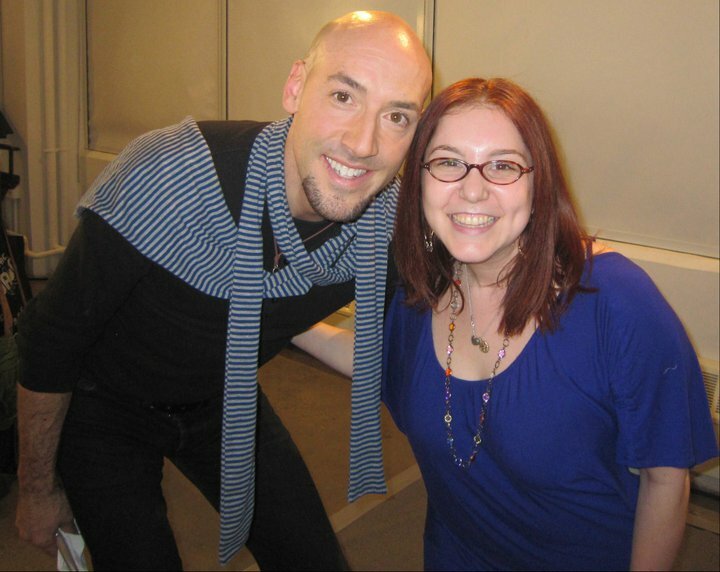 When I first started blogging, I had the opportunity to meet and interview celebrity hairstylist Ted Gibson. It's pretty obvious to see how excited I was from the huge smile on my face! Hanging out backstage with M.A.C Cosmetics Senior Makeup Artist Victor Cembellin, who always puts a huge smile on my face (and creates unbelievably gorgeous makeup looks to boot). I've made no secret about how much I love Deborah Lippmann nail polishes. 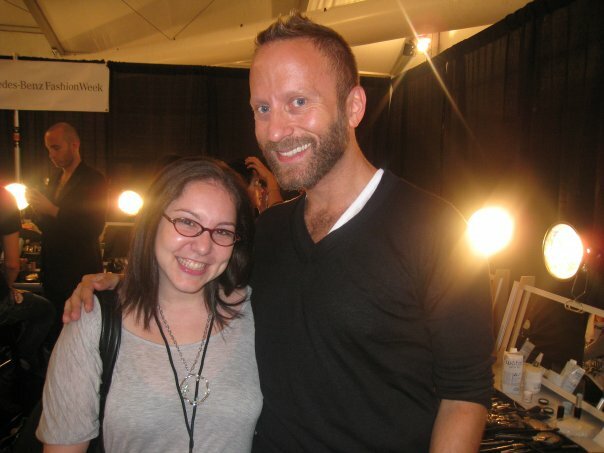 Well, here I am with the legend herself, backstage during Fall 2010 Fashion Week. Is she gorgeous and incredible or what? Another manicurist who I absolutely LOVE? Nonie Creme, the founder of butter LONDON. I own almost every color of her nail polish, AND she's the nicest, most unbelievably talented manicurist. This is us backstage during the craziness that is Betsey Johnson. Anyone who knows me should be aware of my longtime affection of M.A.C Cosmetics Director of Makeup Artistry, Gregory Arlt. We refer to each other as TWESTIES (AKA Twitter Besties), we laugh uproariously every time we see each other, and I'm basically obsessed with his artistry. This was the first time we snapped a photo together, when he was the key makeup artist for Davidelfin. Oh, and he regularly does makeup for beautiful women you may have heard of, like Dita von Teese, Minnie Driver and Gwen Stefani. NBD. The incomparably talented makeup artist, Gucci Westman, giving me a rundown of the beauty look at Tibi during Fall 2009 Fashion Week. I'm ending with someone in fashion, not beauty, but celebrity stylist Phillip Bloch needs to be on this list too! 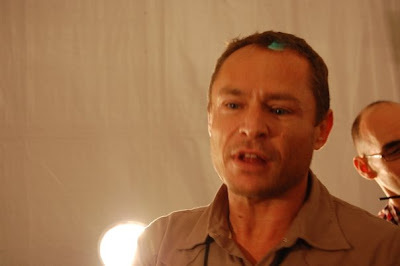 He was the guest speaker at an event I attended for Hanes a few years ago, and he was so gracious and interesting and full of unique fashion tidbits. Meeting him was definitely a highlight of my time not only as a blogger, but of my years living in NYC. Have you had the opportunity to meet any of your idols throughout the years? Let me know about your experiences in the comments! Oh my gosh, you are too pretty!! :) I really enjoyed reading through this post and seeing who your beauty idols are. I would love to meet Nonie, I think she's pretty amazing. WHATTTTTT!? I'm so jealous! 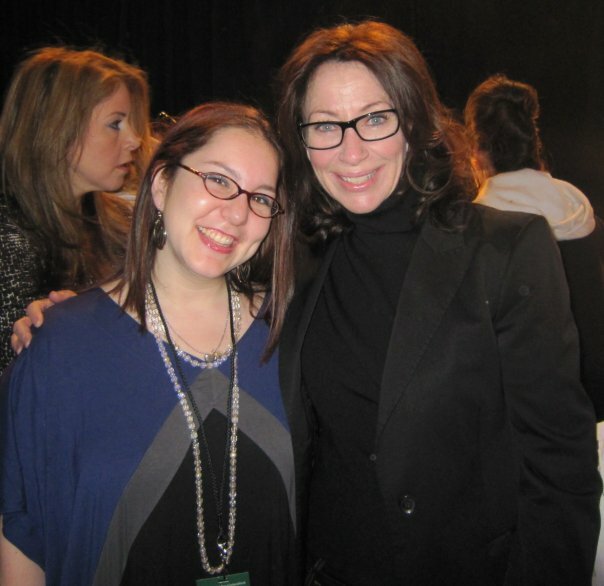 Especially of the fact that you met Deborah Lippmann! I hope I get the chance to meet her one day. She is my ultimate beauty icon! Girl, those are some wonderful moments you've captured there! Really cool!